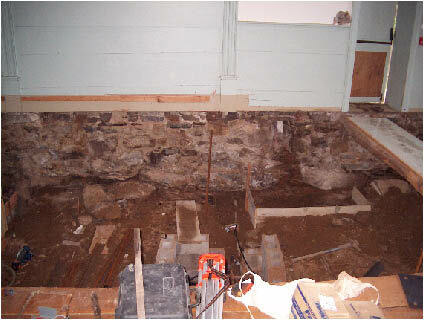 It may not be evident from the exterior but the former Hitchcock Chair Museum in Riverton is undergoing extensive renovations to the interior of the historic building during the month of May. Glassblower Peter Greenwood bought the building in January 2005 for $97,000 and plans to open his studio and gallery there in the summer of 2005. Greenwood is a Hartford native and has had a studio in Farmington since 1981. He is a nationally recognized glassblower, and has had exhibitions of his works of art from glass in Los Angeles, Washington, D.C. and New York. The stone building was owned by the Hitchcock Chair Company which used it to display early American furniture, especially chairs, many of which were made in Riverton by Lambert Hitchcock. 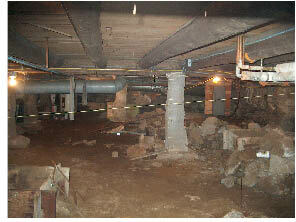 The museum closed and in 2003 the exhibits were removed. Greenwood will operate his studio on the main floor and a gallery in the second floor loft. Visitors will be able to watch the artist at work from the vantage point of the loft. 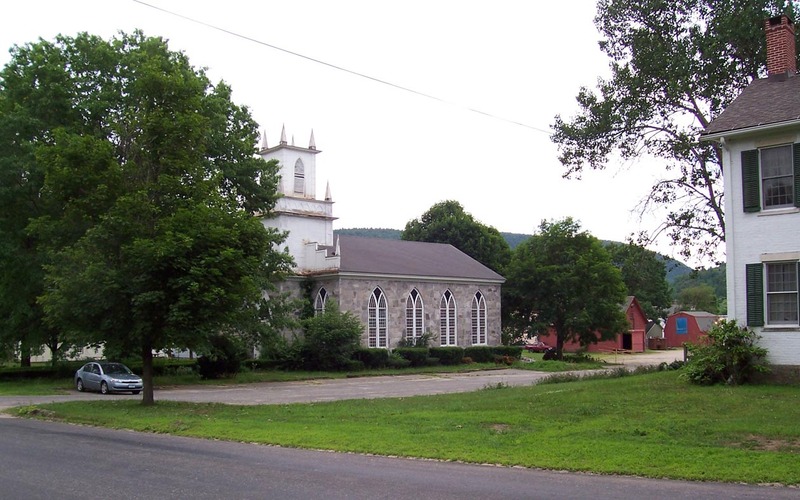 Greenwood plans to retain the character of the historic building which was built in 1830 as the Union Episcopal Church. Lambert Hitchcock was a member of the church and was married there shortly after construction was completed. In 1966 it was closed as a church and later bought by Hitchcock Chair. Sensitive to the history and character of the building, Greenwood plans to retain the church organ in the studio. Welcome to Barkhamsted Peter Greenwood! currently being renovated as a studio and gallery of glassblower Peter Greenwood. 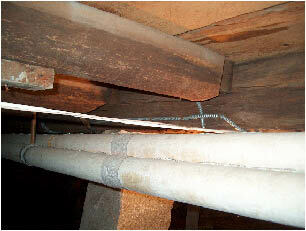 shows notches for floor joists. pad for glass furnace. 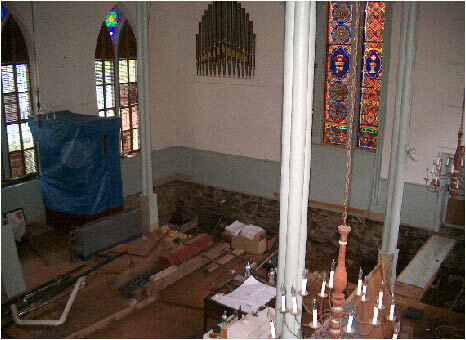 Blue tarp is covering the organ. Photo take from balcony. 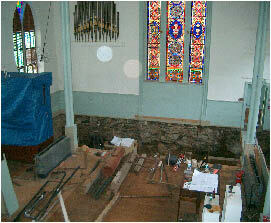 removed (taken from the first floor). quarried near Big Spring in Peoples Forest, Barkhamsted. 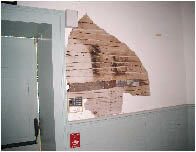 1) "Museum Changes Hands", Joyce Peck, Waterbury Republican-American, January 21, 2005. 2) Photos by Walt Landgraf, May 2005.